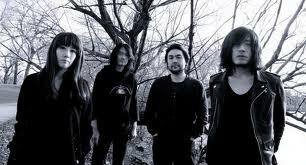 Japanese rock band, Mono’s style of music is influenced by the genres of experimental rock and shoegazing, as well as by both the classical and contemporary classical periods of classical music, and also by noise and minimalism. Mono’s sound is characterised by the lead and rhythm guitars of Goto and Yoda respectively, both of whom make extensive use of reverb, distortion and delay effects. The band’s live performances are noted for their intensity, both in the playing and in the dynamics. They joined us for our 5GB series before their show tonight at Rock and Roll Hotel. ATP 2008 curated by explosions in the sky…… So many great bands there!